Jean-Pierre Torrell, O.P. "St. Thomas Aquinas: Theologian and Mystic." 1-16. G.J. McAleer. "Business Ethics and Catholic Social Thought." 17-28. Giovanni Sala, S.J. "Fallible Teachings and the Assistance of the Holy Spirit: Reflections on the Ordinary Magisterium in Connection with the Instruction on the Ecclesial Vocation of the Theologian." 29-54. Michael Torre. "Francisco Marín-Sola, O.P., and the Origin of Jacques Maritain’s Doctrine on God’s Permission of Evil." 55-94.
by Luke Timothy Johnson and William S. Kurz, S.J. Michael Dauphinais & Matthew Levering, "Deus Caritas Est...." 223-226. Denis Farkasfalvy, O. Cist. 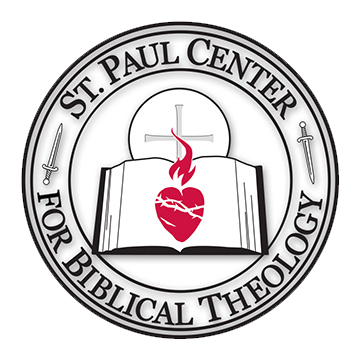 "How To Renew the Theology of Biblical Inspiration?" 231-254. Bernhard Blankenhorn, O.P. "The Instrumental Causality of the Sacraments: Thomas Aquinas and Louis-Marie Chauvet." 255-294. Romanus Cessario, O.P. "'Circa res ...aliquid fit'" (Summa theologiae II–II, q. 85, a. 3, ad 3): Aquinas on New Law Sacrifice." 295-312. Peter A. Kwasniewski. "Doing and Speaking in the Person of Christ: Eucharistic Form in the Anaphora of Addai and Mari." 313-380. Nathan Lefler. "Sign, Cause, and Person in St. Thomas’s Sacramental Theology: Further Considerations." 381-404. Charles Morerod, O.P. "Eucharistic Communions as a Christian Contribution to Society." 405-428. J.L.A. West. "Simplicity, Divine Causality, and Human Freedom: A Critique of Eleonore Stump’s Aquinas." 429-446. Basil Cole, O.P. & Francis Belanger, O.P. "The Immaculate Conception, St. Thomas, and Blessed Pius IX." 473-494. Lawrence Dewan, O.P. "St. Thomas, Norman Kretzmann, and Divine Freedom in Creating." 495-514. Fulvio Di Blasi. "Law as 'Act of Reason' and 'Command'." 515-528. Gilles Emery, O.P. "The Question of Evil and the Mystery of God in Charles Journet." 529-556. Steven A. Long. "Providence, Freedom, and Natural Law." 557-606. Thomas M. Osborne, Jr. "Thomist Premotion and Contemporary Philosophy of Religion." 607-632. Thomas Joseph White. "Von Balthasar and Journet on the Universal Possibility of Salvation and the Twofold Will of God." 633-666. Edward T. Oakes, S.J. "The Paradox of Nature and Grace: On John Milbank’s The Suspended Middle: Henri de Lubac and the Debate Concerning the Supernatural." 667-696. Lawrence J. Welch. "John T. Noonan’s A Church that Can and Cannot Change: An Evaluation." 697-708. Denis Farkasfalvy, O. Cist. "Biblical Foundations for a Theology of Inspiration." 719-746. Michael Gorman. "Inspired Authors and Their Speech Acts: A Philosophical Commentary on the Essay by Denis Farkasfalvy." 747-760. Olivier-Thomas Vernard, O.P. "Literary Mediation of Knowledge and Biblical Studies." 761-786. Gregory Vall. "Israel’s Participation in the Prayer of Christ: A Response to Olivier-Thomas Venard, O.P." 787-798. Kenneth Schmitz. "The Ingathering of Being, Time, and Word and the Inbreaking of a Transcendent Word." 799-814. Matthew L. Lamb. "Temporality and History: Reflections from St. Augustine and Bernard Lonergan." 815-850. Lawrence E. Frizzell. "Worship, the Bond Between Time/Space and Eternity: A Reflection on the Essays of Kenneth Schmitz and Matthew Lamb." 851. Francis Martin. "Election, Covenant, and Law." 857-890. Richard Schenk, O.P. "Views of the Two Covenants in Medieval Theology." 891-916.